Thank you for your continued interest in Partnership Activation. Click here to purchase the April 2011 Partnership Activation Newsletter for $7.99. 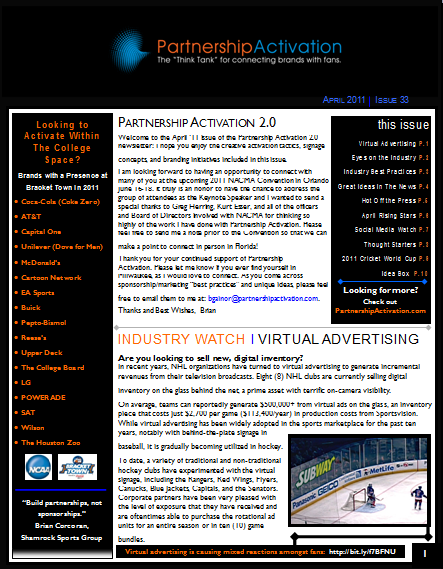 Click here to purchase the April 2011 Partnership Activation Newsletter, connect with other readers in the official Partnership Activation LinkedIn Group, and follow Brian Gainor on Twitter for additional sponsorship/marketing tactics throughout the month!